Richard Edwards, the Elizabethan musician and poet, was thirty-eight in 1561 when he became Master of the Children of the Chapel Royal, the director of the choirboys who entertained the Queen with plays and concerts. In the following year, Edward de Vere the seventeenth Earl of Oxford arrived in London at age twelve as the first of Elizabeth’s royal wards. The young earl’s father had maintained his own acting troupe, which had performed at the family home of Castle Hedingham in Essex, and Oxford’s childhood love of plays and theatrical productions never left him. During the rest of his life he would actively patronize the Chapel Children and the Children of St. Paul’s (known in the countryside as Oxford’s Boys), and an adult acting company as well. 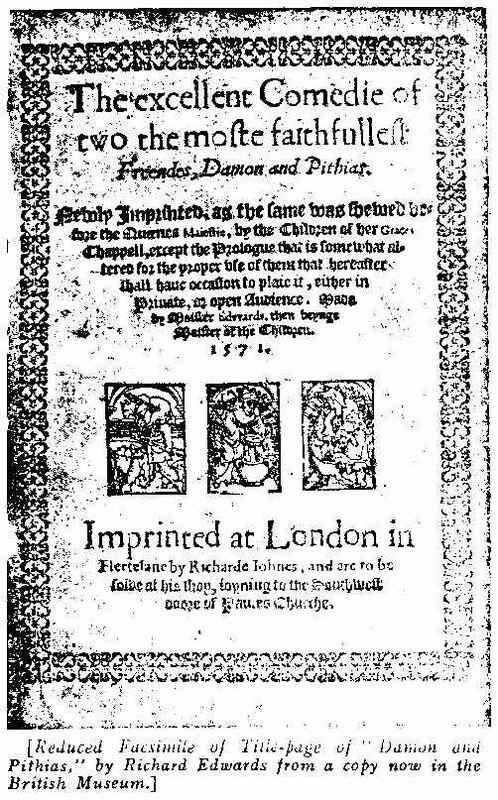 Although “Damon and Pithias” was written and performed for Queen Elizabeth in the Christmas season of 1564, it was first printed in 1571 and attributed to Richard Edwards, who had died in 1566. In the Christmas season of 1564-65 a play attributed to Richard Edwards was performed by the Chapel Children for Elizabeth and the Royal Court at Whitehall Palace. The play, Damon and Pithias, was the first “tragicomedy” in England and the high-water mark of English drama up to then. It was set in the Greek Court of Dionysius, but its closing songs expressed loyalty to the Queen by name, revealing that the royal Court of Elizabeth had been intended all along – an early example of Shakespeare’s habit of using foreign settings to reflect England itself. The prologue of Damon and Pithias, referring to its author, stated that “to some he seemed too much in young desires to range.” Then it switched to the plural “Authors” of the play, adding, “I speak for our defense.” Did Edward de Vere collaborate on Damon and Pithias with Master Edwards, as the The Arte of English Poesie suggests? Or, in fact, was the teen-age royal ward the sole author of this youthful, highly spirited play? True friends for their true prince refuseth not their death. The Lord grant her such friends, most noble Queen Elizabeth! 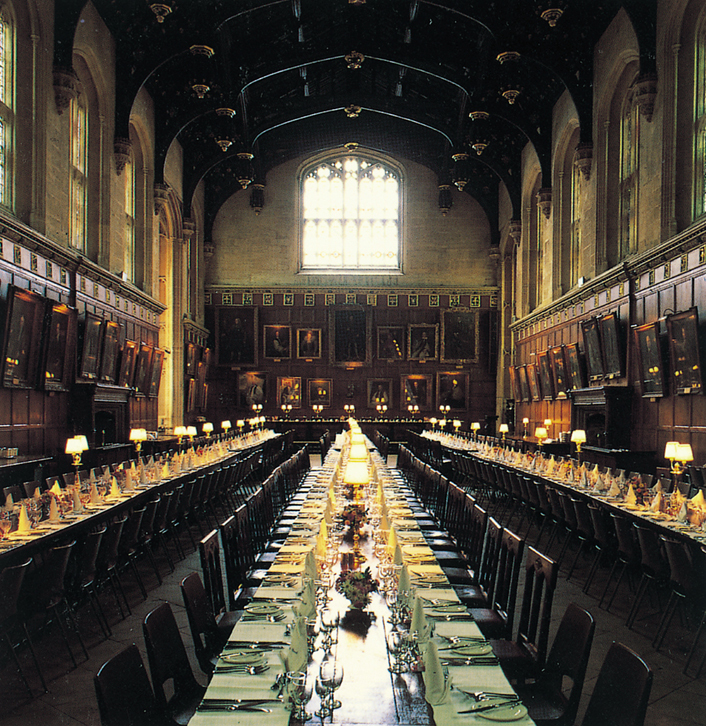 In August 1566 the Queen visited Oxford University and presented Edward de Vere, now sixteen, with his honorary MA degree. [The young earl studied mainly with private tutors.] During her Majesty’s historic visit she arrived at Christ Church Hall for the student performance of Palamon and Arcyte, a new play attributed to Edwards, dramatizing Chaucer’s Knight’s Tale. This performance on two separate nights became a major event of campus lore. Word-of-mouth from rehearsals and previews had served to build up tremendous excitement and anticipation, so that once Elizabeth and her Court were seated, the incoming crowd swelled to the point that a wall by the stairs ripped away, crushing three individuals to death and injuring five others. Elizabeth sent for her own doctors to help and, after all the hurt or dead had been carried off, the show went on as scheduled. 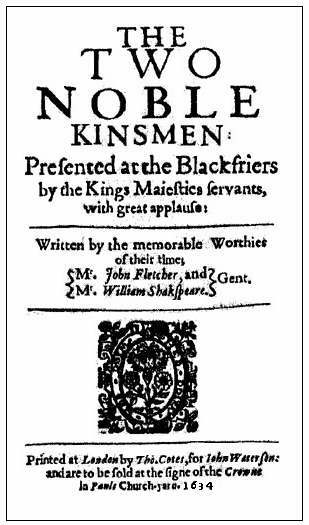 Palamon and Arcyte is now a “lost” play, but it’s often cited as a source of The Two Noble Kinsman, printed nearly seventy years later in 1634 as by John Fletcher (1579-1625) & William Shakespeare. Scholars have identified the “Shakespearean” sections as well as lesser stuff by Fletcher; but they are baffled as to why the Bard, near the very end of his illustrious career, would decide to collaborate with an inferior writer. The logical answer is that he did nothing of the sort; on the contrary, the “young Shakespeare” wrote Palamon and Arcyte, at sixteen in 1566 – and some of his text survived over the ensuing decades, into the next century, when Fletcher filled in the missing parts (with his own inferior writing) to create The Two Noble Kinsmen. In the future A Midsummer Night’s Dream by “Shakespeare” would also present Theseus, Duke of Athens, who says: “My love shall hear the music of my hounds … My hounds are bred out of the Spartan kind … A cry more tuneable was never holloo’d to nor cheered with horn.” When the Queen attended the Dream at Court, did she suddenly realize that Oxford must have inserted the hounds as a private, shared recollection of those earlier hounds? The alleged playwriting career of Richard Edwards lasted just two years. His death on October 31, 1566 occurred only weeks after Palamon and Arcyte had been staged for the Queen at Oxford. 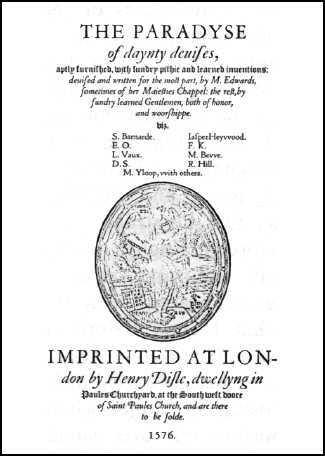 Then, however, a decade later in 1576 came publication of The Paradise of Dainty Devices, a collection of ninety-nine poems (and/or song lyrics) that Master Edwards had compiled “for his private use” before he died, according to the printer Henry Disle. Ten of the verses were attributed to “M. 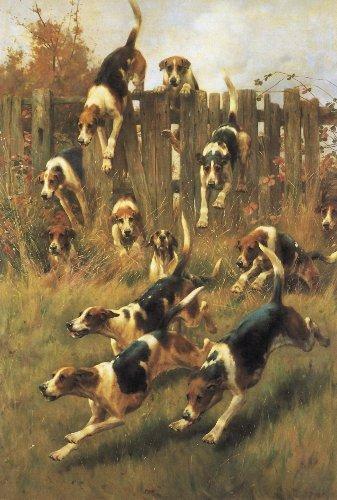 Edwardes,” with eight signed “E.O.” for the Earl of Oxford. If in fact Edwards had compiled the poems ten years earlier, Oxford would have composed his contributions by age sixteen; but if the earl had done the compiling, he might have written his own poems at any time up to when he was twenty-six in 1576. Of the nine contributors with their names or initials on the title page, only Oxford and Lord Vaux were noblemen, and the latter was deceased. Hyder Rollins, in his edition of 1927 for Harvard University Press, reports that The Paradise of Dainty Devices was “the most popular miscellany printed during the reign of Queen Elizabeth” and that by 1606 it had “reached at least a tenth edition.” Additional poetry was included with many of the new printings. As stated before in this series of blogs, none of the above material is suggested as “proof” that Edward de Vere Lord Oxford was the writer of the works attributed to “Shakespeare.” What we have been collecting, instead, is a growing body of circumstantial evidence so overwhelming that it might compel a jury to “convict” Oxford of having written those works. Richard Edwards, who is No. 56 of 100 Reasons why Oxford was the great author, comprises a striking example of such evidence. Rather than the traditional Bard of Stratford having to get acces to these sources and digest them for his creative use, we find the teenage Edward de Vere in relationship to the Master of the Chapel Children in terms of an intensely shared interest in music, lyrics, poetry, players and plays – strands of which are all intertwined with, and connected to, the future “Shakespeare” works. Once the Stratfordian paradigm is dismissed, and the Oxfordian perspective adopted in its place, the pieces immediately start fitting together and making perfect sense. Here is the stuff of genuine biography, as opposed to the heavily padded but empty life-story the Stratfordians are doomed to keep dishing out — until enough people, undoubtedly students of a new generation, see that the traditional assumptions contradict each other and will not ever work. Then, once the world realizes where the true treasure is buried in plain sight, the amount of riches to come forth will be blinding.